Grease Rag’s mission is to encourage and empower women/ trans/ femme (WTF) cyclists in a collaborative and fun learning environment through rides, discussions, shop nights and educational seminars in a safer space. 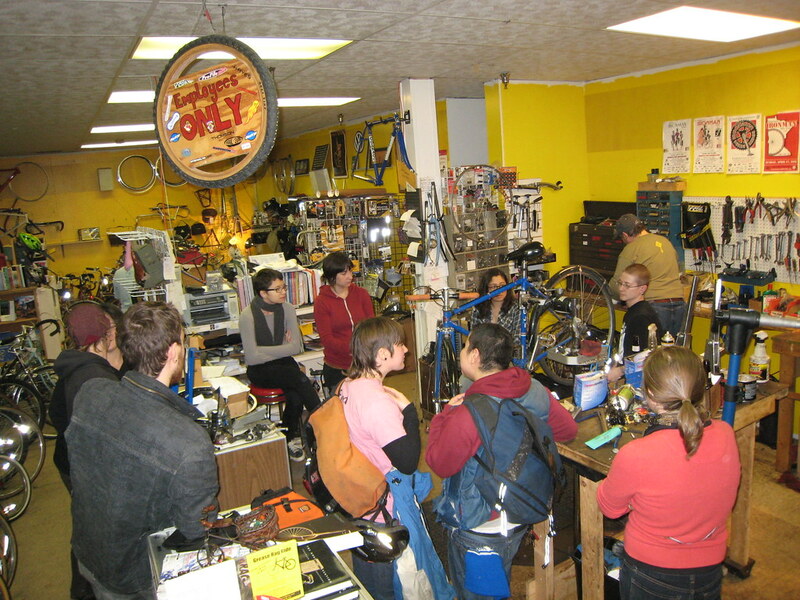 Grease Rag Ride and Wrench happens five times a month at different locations in Minneapolis! Join us on every Thursday, and 2nd Tuesdays of the month. I just noticed the link to Sunrise Cyclery needs to be changed.